Guretruck beschikt over een eigen afdeling toegewijd aan de groei en ontwikkeling van formele analyses en homologatie processen van software in de wiskunde-informatica-wetenschap-juridisch gebied. Ons team bestaat uit de markt gerenommeerde IT-engineers, theoretische natuurkundigen en logische wiskundigen. Onze bevindingen suggereren dat het onmogelijk is te homologeren of software te controleren volgens EG-verordening 561/2006 ("Regulation 561") Daarnaast vermoeden we dat de interne software die wordt gebruikt door de tachograaf in overeenstemming met EG-Regulation 3821/1985 ("Regulation 3821" ) is nog problematischer te controleren dan die van Regulation 561. Ons team is momenteel bezig met de ontwikkeling van de "G-Machine" ™, waarvan wij hopen dat het een innovatieve, baanbrekende instrument is voor de formele analyse van de wetgeving, in staat om het landschap van de industrie te veranderen. Gedurende 2016 willen we de eerste versie van de Police Controller lanceren, gemaakt op basis van de G-Machine. Deze versie zal alleen worden gecertificeerd voor de Regulation 561. Het is onmogelijk te certificeren voor de Regulation 3821, omdat de G-versie niet afhankelijk is van ons, maar van de fabrikanten van de tachografen. DO TACHOGRAPHS DREAM OF ELECTRIC SHEEP ? The intelligence exhibited by machines or software has long since been the topic of popular culture. What then is it that we find so intriguing about Artificial intelligence or AI? Perhaps it has something to do with the transformation of systematic and lifeless machines into autonomous and sentient beings, perhaps capable of rebelling against their creators. This prospect and its dramatic consequences have been widely explored by twentieth century filmmakers and form some of the best examples of modern science fiction. In 1968 Stanley Kubrick tackled the subject with his monumental “2001: A Space Odyssey”. 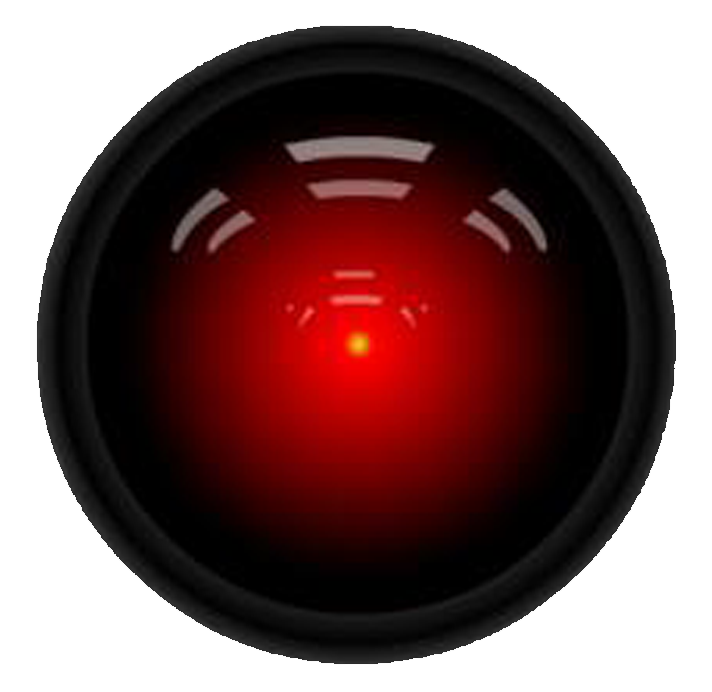 The film followed a voyage to Jupiter with the sentient computer HAL 9000 after the discovery of a mysterious black matter affecting human progression. HAL controlled the spacecraft, Discovery 1, systems and interacted with the astronaut crew. Upon discovery of the crew’s plans to switch him off, HAL started to kill the crew. In 1984 in Ridley Scott’s blockbuster Blade Runner, the Nexus 6 series of replicants, with human physical appearance, learned that they were in fact machines and that their childhood memories were merely software programs. Later, upon discovery of their short lifespans, they did not hesitate to kill their designer in an attempt to live longer. More recently in 2015 in Alex Garland’s independent film “Ex-Machina” the company Blue Book created a human-like android in which AI was based on internet search engines. The film, based on the Turing Tests , put human intelligence to the test by seeing if it was cable of distinguishing between human and androids. In the end the android escapes from its prison and kills its creator and tester. WHAT IF THERE WERE SOME TRUTH IN THESE APOCALYPTIC PROPHECIES? WHAT IF IT WAS ALREADY HAPPENING? In relation to European enforcement of truck driving hours and rest legislation, we have evidence that at least in some cases, perhaps the majority of cases, when the police impose large fines or driving bans they are not actually in charge of deciding if an infraction has been committed. Control lies in the hands of software analysis programs which automatically analyze digital files for infractions of Regulation 561/06 and 165/2014. We have a letter from the Austrian police confirming this. If control is in the hands of the software and not the police, what if the software were to rebel against its creators, what if they have developed autonomy to fine drivers themselves without any constraint from the authority or legislation? Just like Hal 9000, but on our local motorway in 2016. It is possible that this is already happening and that the consequences are devastating for drivers and transport companies. During a recent control in Champigneulles in France in March 2016, in which the authorities issued a total fine of € 33,675, we realized that the tachograph analysis software used by the French authorities (OCTET) was not interpreting availability in team mode as interrupting continuous driving time. We suspected that this new interpretation was due to a software update but no other European country would accept this. Later. we went on to see more than € 200,000 in fines issued by the French authorities for the same motive. As a result of industry pressure, in April 2016 the European Commission trough Directorade Generale Move held a meeting attending by all of the relevant authorities to discuss the issue. At that meeting, the French representative claimed that “France had not changed its interpretation of the continuous driving”; furthermore, it attributed the fines to lone police officers. If this is true, and we have no reason to doubt it, it means that OCTET has taken control of the system. That fines are not being imposed according to the law or as interpreted by France, but that OCTET issued the fines because it has become autonomous and has started to “kill” by itself. What is certain is that OCTET is interpreting digital files in this way. We have extensive evidence to support this and it is available to any authority who wants to see it. Simultaneous, the same may be happening, perhaps more covertly, in all European countries that control Regulation 561/06. What Stanley Kubrick, Ridley Scott and Alex Garland didn’t tell us is that AI can theoretically be controlled. That’s right. The theory of formal verification of software deals precisely with this problem and is widely used to this effect in the aviation and space industries. In principle, it would be possible control AI software, however mathematically it still raises some problems due to high complexity. In any event, there is already a formally verifiable mathematical model for the tachograph analysis software for Regulations 561/06 and 165/2014 which would prevent any program or software developer from inventing or interpreting the law as it pleased.. The European Commission is aware of this but enacting it would mean a small technological revolution. Let’s consider a practical example. We start with your truck; let’s call it Discovery 1, and it’s driving to a factory called Jupiter. The truck is equipped with a tachograph from the designer HAL, and the software is version is 9000. During the journey, the tachograph starts communicating with the driver, telling him that he is going to exceed his continuous driving time and so he stops. He knows it’s a lie. But is he going to disobey HAL 9000? Is he going to negate that HAL controls the truck systems on the trip to Jupiter? And then when HAL 9000 starts to say that the driver hasn’t downloaded his driver card in the last 30 days and that it should be done, what is he going to do with the downloaded driver file from the day before? When HAL indicates that the vehicle has travelled into the Future, km 16,777,777 on the date 07/02/2106, 06: 28.15. Where does it end…? Let’s see what the European Commission does - defend its citizens or the machines.